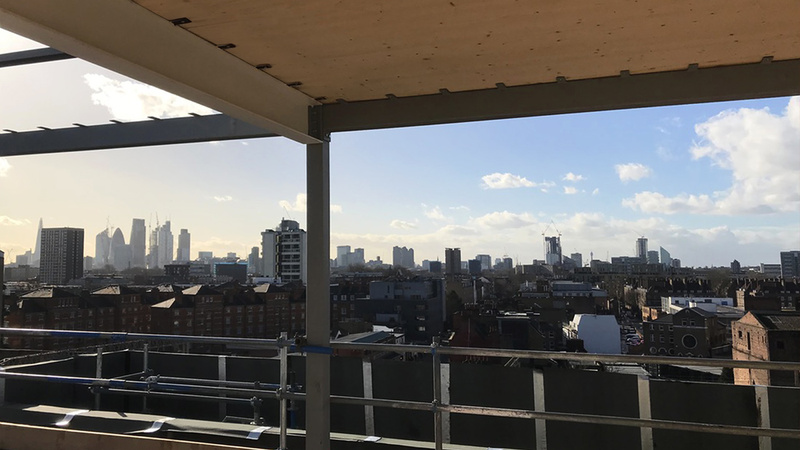 The existing concrete frame is being refurbished with a new single storey CLT rooftop extension and lift core, which will link both parts of the building when completed. 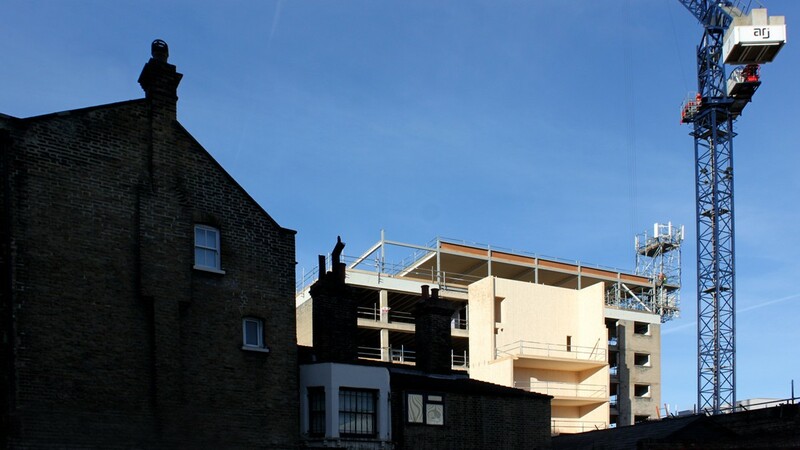 A hybrid structure of Steel and CLT forms the single storey extension to the concrete frame building at the front of the site. 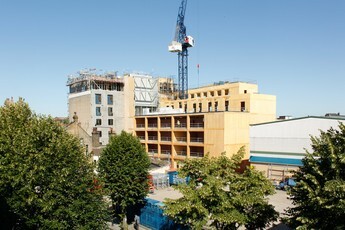 Phase 2 at the rear will provide significantly increased office space constructed out of CLT.